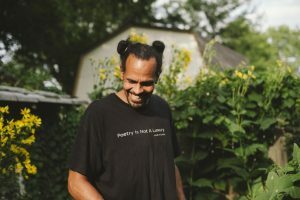 Ross Gay is passionate about poetry, gardening and basketball. He pauses when asked if he sees a connection between the three. Gay just moved back to Bloomington, Indiana, after a nine-month fellowship at Harvard University. He says it means his garden has been a bit neglected, although he still expects a good harvest from his peach and fig trees. Ross has a year-round love affair with his garden. “The madness of spring is so enticing. I love it when things are opening up and emerging from the ground. I also love the middle of summer when fruit is bursting forth, but I even love the garden in the winter when everything is resting,” he says with a laugh. 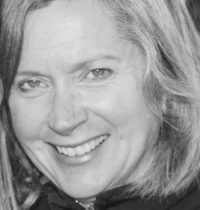 Gay is also working on a book about connections between land and race. Themes of gardening even made it into a poem that was written from news events last year. Gay wrote a poem about Eric Garner, the African-American man who died after New York City police officers put him in a chokehold while trying to arrest him. Gay says he was struck after reading his obituary in The New York Times. Gay’s poem “Burial” is about the death of his father and about transformation. You can hear Gay read the poem here or read the text below. Ross Gay is the author of three books: “Against Which”, “Bringing the Shovel Down”, and “Catalog of Unabashed Gratitude”, winner of the 2015 National Book Critics Circle Award and the 2016 Kingsley Tufts Poetry Award. “Catalog of Unabashed Gratitude” was also a finalist for the 2015 National Book Award in Poetry and nominated for an NAACP Image Award. He is a founding editor, with Karissa Chen and Patrick Rosal, of the online sports magazine Some Call it Ballin, in addition to being an editor with the chapbook presses Q Avenue and Ledge Mule Press. Ross is a founding board member of the Bloomington Community Orchard, a nonprofit, free-fruit-for-all food justice project. He has received fellowships from Cave Canem, the Bread Loaf Writer’s Conference, and the Guggenheim Foundation. Ross teaches at Indiana University. Left: Poet Ross Gay is an avid gardener and founder of the Bloomington Community Orchard. Photo courtesy Ross Gay.